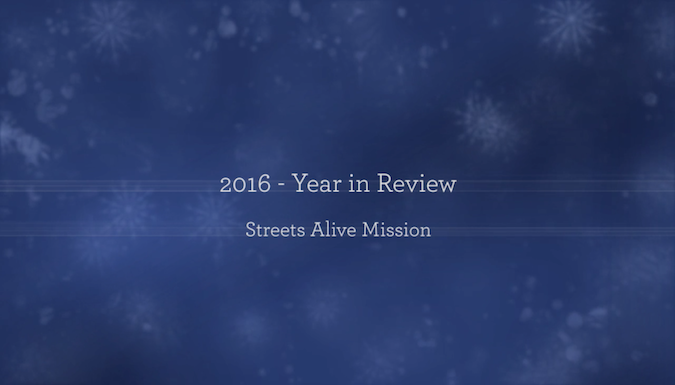 2016 has been an amazing year at Streets Alive Mission. Here’s a quick look back! Thank you for your continued support. 2017 is going to be great, too, with your help!